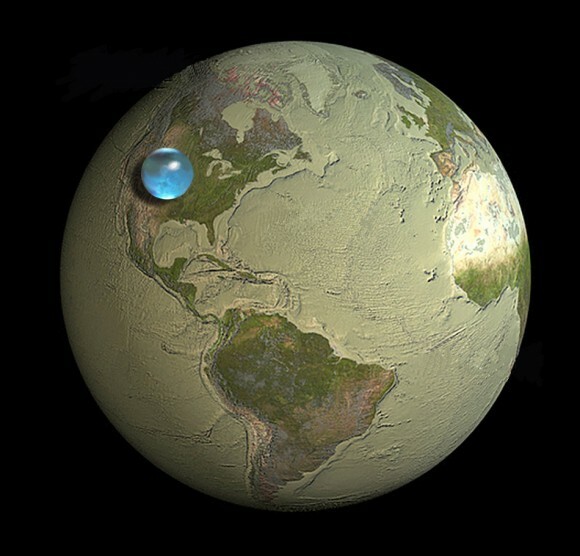 According to the U. S. Geological Survey, it would make a ball 860 miles (1,385 km) in diameter, about as wide edge-to-edge as the distance between Salt Lake City to Topeka, Kansas. That’s it. And drinkable water is less than 1% of total water.